Courier To Cayman Is. - Cheap Parcel Delivery To Cayman Is. You could think that worldwide shipping and delivery is a difficult and high-priced process, nevertheless this is usually not the case with Courier Force. What’s far more, you could be astonished at merely precisely how uncomplicated in addition to fast it is usually for you to send out any parcel to the Cayman Islands.Cayman Islands are a British overseas territory located in the western Caribbean Sea. People of Cayman have high standard of living in the Caribbean. Scuba diving and snorkelling attracts a lot of tourists to Cayman Islands. 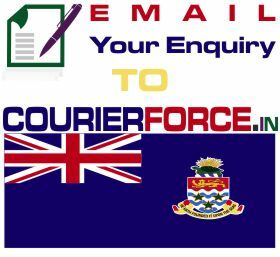 You will surely choose Courier Force for your parcel delivery to Cayman Islands as we understand the need for fast, trust worthy and reliable services that you can count on. We merely make use of the most-renowned along with best founded courier solutions in the world such as FedEx, DHL, TNT, and Aramex.If you demand low-cost shipping to the Cayman Islands, then Courier Force gives you double advantage by giving you cheap prices along with quick delivery. To get an instant quote for your package to Cayman Islands just give us a call or you can also drop us a email with the weight and dimension of the parcel. You can also ask for a call back through our website. We give you door to door service where the parcel is collected from your location and delivered to the destination in Cayman Islands.All your needs for courier to Cayman Islands will be met by us. 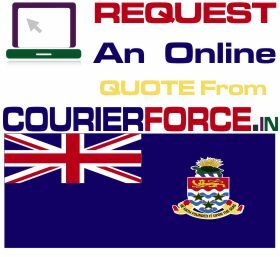 Contact us now and book your shipment to Caymans Islands with Courier Force. Prices below are door to door courier rates to Cayman Islands from Mumbai. These charges are cheapest in India for sending courier to Cayman Islands from India. This is by a courier company which is the best in industry for parcel services to Cayman Islands. 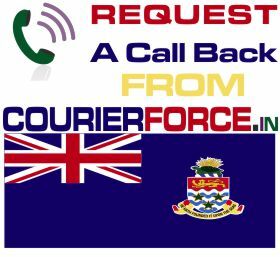 Again, Courier Force is one of the very few companies who have their own network for distributing parcel in Cayman Islands. It will take anywhere between 3 and 6 working days to deliver your parcel to Cayman Islands from India. We will be simply collecting the parcel from your business or residence in India and delivering it to your destination address in Cayman Islands. Duties, taxes and customs charges if any (in Cayman Islands) will be additional.